As Vice President, Strategic Alliances , Anetra Culver is responsible for development and management of key business relationships with our Integrated Solution Partners, GPOs, Aggregators, and other key strategic partners. Anetra’s career began in marketing and account services at Hewitt Associates and continued with positions held at Aetna Specialty Pharmacy and CuraScript. She was Therigy’s first full-time employee, hired in 2008 as Marketing and Account Manager, responsible for brand development, website traffic growth, and sales strategy development. Her in-depth knowledge further flourished through various marketing, sales, product and account management roles at Therigy. 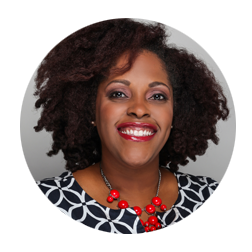 Anetra received her BA in advertising and public relations from the University of Central Florida and her MBA with specialization in marketing and marketing management from the University of Phoenix.